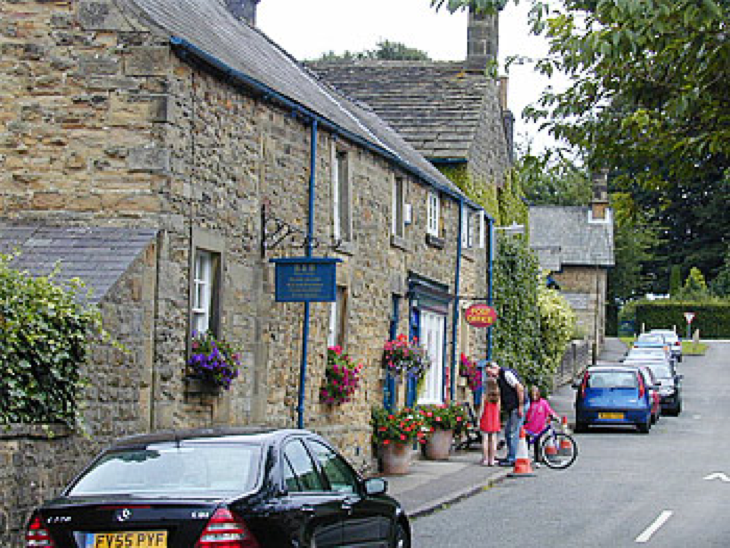 There are two Pilsley’s in Derbyshire, the former mining village near to Clay Cross in North East Derbyshire and the Chatsworth Estate Village which this feature covers. 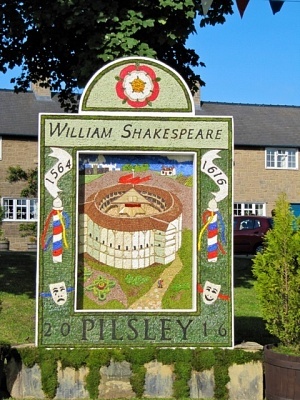 Pilsley is a pretty, unspoilt village with magnificent views over the Derwent Valley. It lies about one mile east of Chatsworth Estate, and with Edensor and Beeley makes up the three Chatsworth Estate villages. 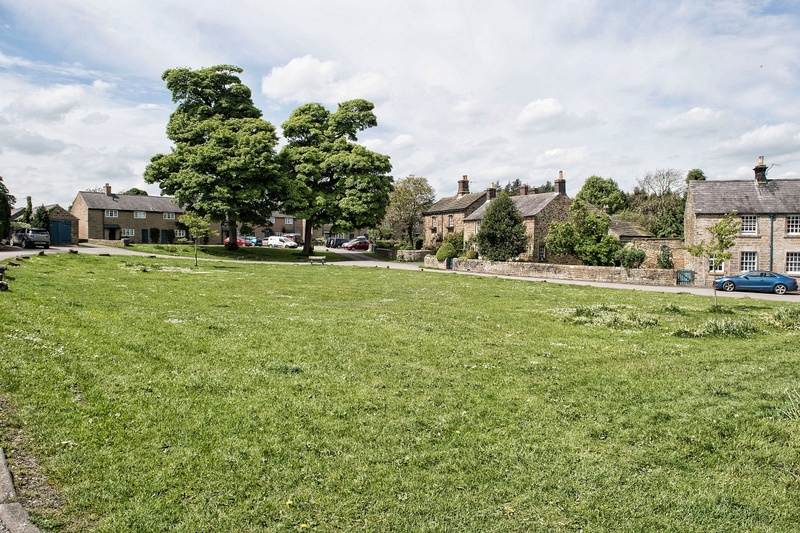 They tend to share facilities; Pilsley has the school and a pub, Edensor a church and institute and Beeley a church and a pub. Both pubs are called the Devonshire Arms, which can cause confusion at times. The village is in a sheltered position and the limestone cottages are enriched by gardens full of colour, many of the occupiers have learned the craft in the garden at Chatsworth House. Some describe it as a sleepy little village, but fail to take into account that the popular Chatsworth Farm Shop is located in Pilsley. It has been so successful, further expansion of the Farm Shop has taken place, including an enlargement of the shop on a number of occasions along with the catering facilities. The Stud Farm was built in 1910 by the ninth Duke of Devonshire to house the stallions for breeding the Shire Horses that worked on the estate. However, by the 1940’s, tractors had replaced horses and the Stud farm lost its residents. A herd of Pedigree Jersey cattle was moved in and a milking parlour set up. A further change took place in 1977, when the Duchess of Devonshire opened the Farm Shop in the former Tack Room, selling beef and lamb from the estate. As the shop has become more successful, it has expanded to include a whole range of products and a restaurant has been created in the courtyard. In 1839, Paxton built the village school and some of the other houses in the village, but not the group near to the Devonshire Arms that were built more than a century earlier. Duke of Devonshire was knocking down and rebuilding Edensor, out of sight of Chatsworth House. The inhabitants were found temporary accommodation at Pilsley and Beeley. At the time the Trustees of the Chatsworth Estate were looking for accommodation for eight employees of the estate, they chose a piece of land on the west side of Pilsley containing derelict buildings. The position of the size enabled the compactness of the village to be maintained and additionally provided an opportunity to improve and enhance the appearance of green by closing in the end. In order that the cottage would harmonise with the rest of the village they were built in two blocks of four. The widish High Street suddenly and surprisingly comes to an end and turns into a rough cart track by the accurately named Top House. Further on, it divides into three pathways; the one going straight on is of the most historical significance, as this was the route used by packhorses carrying lead from Monyash bound for the North Sea. Pilsley was a stopping point, where fresh animals were substituted for the next section of the journey. Almost all Pilsley’s population either works on, or used to work on the Chatsworth Estate – or holds a connection with the estate through a partner. The inhabitants have a wide range of skills as they have had the task of maintaining Chatsworth House and Gardens over the last 400 years. One craftsman, an upholsterer, set up business in the village and when he outgrew his premises, the estate knocked down an old barn and built a new one, calling it Broome’s Barn after the tenant farmer who had farmed the land. The business still exists and under the name of Penrose and although the manufacturing now takes place in Sheffield, the excellently presented showrooms remain in the village. The Devonshire Arms, a long narrow pub of pleasing appearance, is set in the old part of the village. 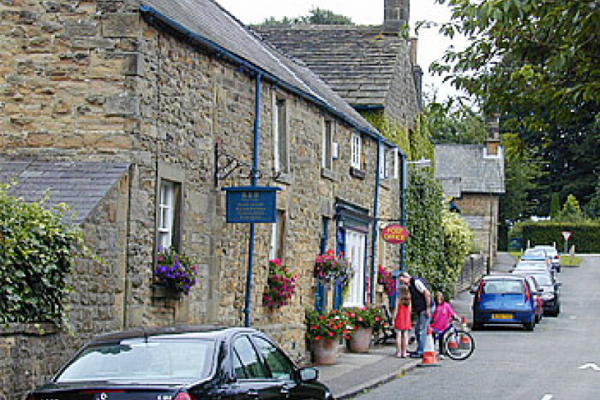 Further up the street is the village post office and shop, the income from which is supplemented by the running of a bed and breakfast business, with the full approval of the Duke of Devonshire. The old chapel has been put to a variety of uses since services were discontinued, including acting as a village hall and school canteen. Although it shares many social events with its neighbours, in mid July, Pilsley holds its own carnival and well dressings. Originally, well dressings were first started in the village in 1849, but were suspended by the Duke of Devonshire after a fight broke out between the men of the village and a gang of youths from Baslow. After a gap of 50 years, the villages’ well dressings were revived in 1968.